Our site is devoted to highlighting the work of psychics, healers, tarot and oracle card readers, and other spiritual entrepreneurs. Join our directory or sign up for business and marketing support for your budding spiritually based business. Just starting out? Congratulations! I’d love to help you learn the ropes to set up a business that is not only successful and balanced but one that feels good and is easy to run! 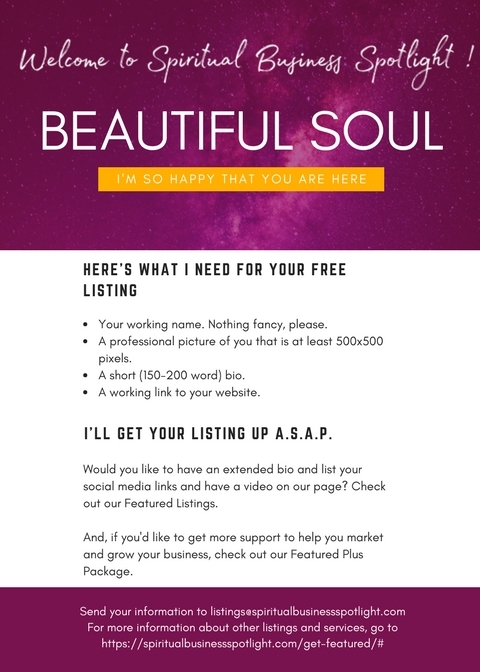 Spiritual Business Basics goes over the main points of what you need to know to get a blog started, to sort out your priorities, to figure out who to serve and what prices to charge – and soooo much more! Let me know if you’d like to get in on this! 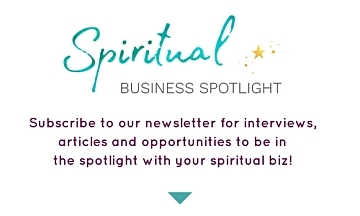 I’ll be offering mini-classes and course packages – and always, support for those who are working on learning how to set up a successful spiritually-based business that does well and feels good.